Levels of air pollution in Asian cities regularly exceed World Health Organization recommended guidelines with smoke and dust particles being double the world average. This is particularly the case in mega-cities with more than 10,000 inhabitants. The main cause of urban air pollution is the use of fossil fuels (coal, oil and natural gas) in transport, power generation, industry, and domestic sectors. My research has involved assessing the state of air quality management in Asian cities and developing appropriate policy frameworks. This guidance area entails the development of an effective communication strategy to inform, educate and strengthen stakeholder participation in all aspects of air quality management. The road map for air quality communication presents measures that ensure the availability and accessibility of air quality monitoring data, the use of appropriate communication channels, the conducting of public warnings and forecasts, and the dissemination of comprehensive and non-technical information on the status of air quality for relevant stakeholders. 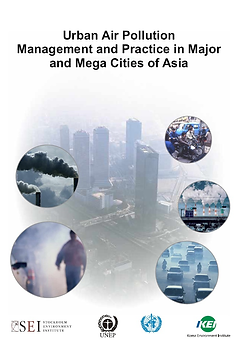 This book provides a comprehensive and comparative assessment of the current status and challenges in urban air pollution management in 20 cities in the Asian region. 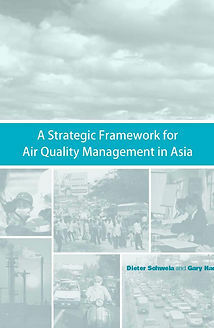 This Strategic Framework for Air Quality Management in Asia aims to provide a regional approach to improving urban air quality by facilitating the setting of air quality priorities and providing direction on institutional development and capacity enhancement. 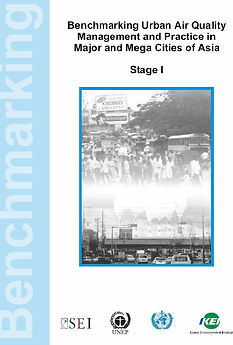 This report presents Stage I of a benchmarking exercise to systematically assess current urban air quality management and practice in selected major and mega cities of Asia and to review practice in cities in Europe and North America. By learning from good practice and understanding the processes by which they are achieved. This report elaborates on the country and city presentations at the APMA Seoul workshop. 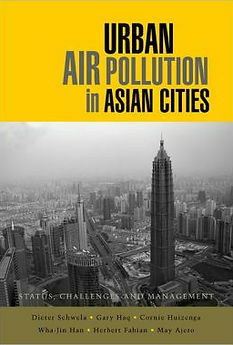 It serves to provide greater insight for future research and policies on approaches to effective urban air quality management that will help to lessen the health,environmental and economic consequences of urban air pollution in Asia, and to achieve more sustainable development.